Here's the Doty family home on Howard Avenue in Medford, Oregon. This photo was taken in May of 1937. There was a garage, chicken coop and shop behind, and a large vegetable garden, rose garden and fruit trees. 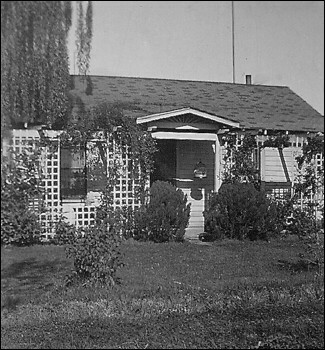 My grandparents Roscoe and Blanche Doty built this home, and my father Shirrel and his brother Irwin grew up here.